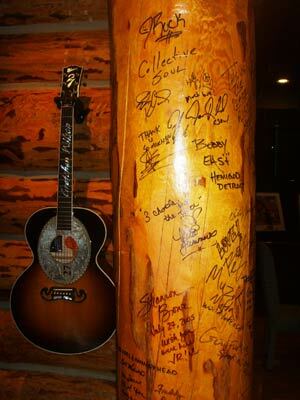 When music lovers come to Nashville for the first time they generally have a to-do list that includes taking in a show at the Grand Ole Opry, a visit to the Country Music Hall of Fame and an evening of whooping it up in the nightclubs and honky-tonks that line the Lower Broadway area in the city's downtown district. But those are just a few obligatory Nashville experiences and fans will soon discover that there's an overflowing cornucopia of music-related fun to be had wherever you look --- Nashville isn't called Music City for nothing! 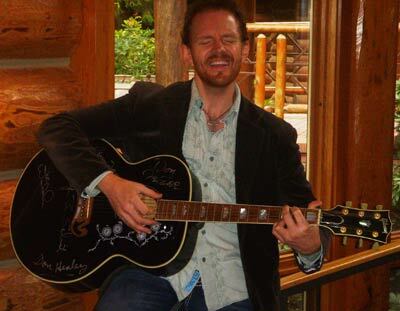 Those who are especially fond of country music as it was performed in the '60s and '70s can enjoy the special treat of touring the former homes of some of the biggest stars of the era, including those of Barbara Mandrell, Conway Twitty and Loretta Lynn. Barbara Mandrell used to live in what is called Fontanel Mansion, a giant log cabin-style home that is now open for tours. 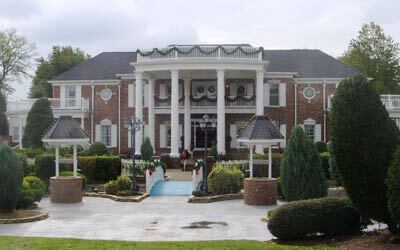 The mansion seems to be situated in a secluded wooded area miles from anywhere but it's actually very close to downtown Nashville. When you first arrive at the Fontanel compound you'll find a restaurant and other attractions to keep you entertained before you board the shuttle to Barbara's former digs. 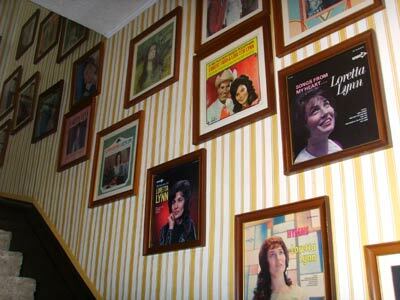 The home is huge but not overly ostentatious and one of the first things you'll see is the large space that formerly served as a living room, now loaded with memorabilia relating to Mandrell's career and country music in general. There's a piano, lots of guitars (many autographed) and this is the spot where your tour guide will likely pick up one of the guitars and sing you a song. Before the tour is over you'll see the home's impressive formal dining room, Mandrell's in-house ice cream parlor and party room, an indoor shooting gallery and much more. Some of the bedrooms have been outfitted to look just like they did when Barbara still lived here, her bedroom included. 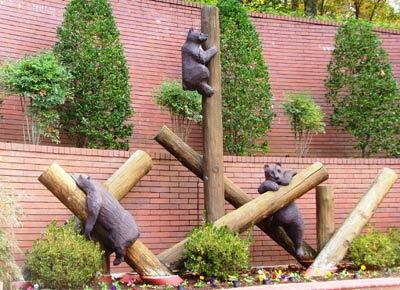 You'll notice that Mandrell had lots of wooden carved bears scattered throughout the property; these are more than just carvings of critters to go with the wooded setting as they represent members of Mandrell's family. Another spread to see is Loretta Lynn's Ranch. Lynn still lives on a portion of the property and you can see her residence from the former home and other buildings that you're allowed to tour. Loretta's ranch has an amusement park vibe to it and in fact since it includes an RV park and rental cabins many visitors choose to extend their stays here. Two of Loretta's former homes are available to tour; she lived in the Plantation Home for 25 years before moving further out on the property and then there's the Webb Home which is a replication of the quaint Butcher Holler home place that Lynn lived in as a child. 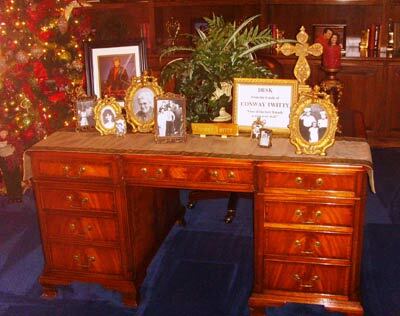 But fans have plenty to do after seeing the homes: there's the Coal Miner's Daughter Museum, full of memorabilia including displays featuring sister Crystal Gayle and twin daughters Peggy and Patsy, aka the Lynns. 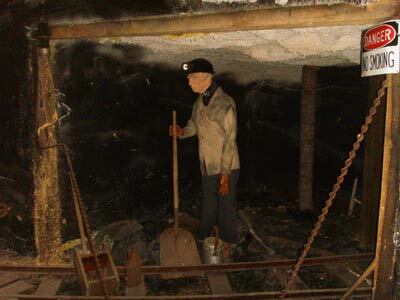 There's a grist mill, a frontier homestead, gift shops galore, a western store, a Native American artifact museum, a fan and doll museum and not to be missed, a simulated coal mine. 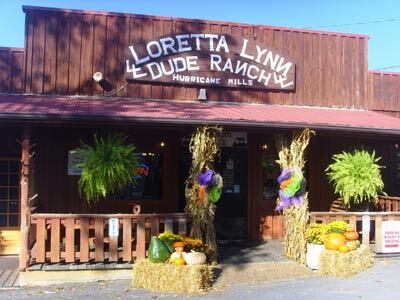 Loretta also performs at the ranch several times a year. Over at Conway Twitty's house things are much more subdued. Twitty was a pop idol long before he became a country singer but you would never know how high his star rose just by touring this particular home. Yes, it's bigger than homes that the average person lives in but it is done up fairly modestly. Visitors are not allowed into personal areas like the upstairs bedrooms but they can peek into every one of the downstairs rooms and get an idea of how the late musician liked to live. Many visitors are also drawn to the home's soothing garden area, filled with statuary. There's a palpable peaceful feeling that emanates from the Twitty property; it's almost like even though Conway is gone he's still imparting pleasure to his fans. The home actually sits on property owned by and adjacent to Trinity Music City, the home of Christian broadcasting network TBN where you can also take a tour. The Loretta Lynn Ranch is located in Hurricane Mills and the Conway Twitty home is in Henderson; both are Nashville-adjacent.